In its simplest form, the Circular Economy (CE) focuses on moving away from a throwaway society towards a model where products are designed and manufactured to be reused, repaired, recycled, reconditioned and remanufactured. This increases product lifecycle, cuts costs and stops wastage of finite resources. The Ellen MacArthur Foundation has estimated that in the EU alone, the annual net material cost savings opportunity is up to $630 billion in an advanced circular economy scenario with the U.K. saving $1.1 billion a year solely on landfill costs. Recycling would melt it down for the metals, a repair would fix a specific fault, you can take an engine from a scrapped car and re-use it, as is, in a different car, or you can remanufacture an engine and bring it back to like new condition. Terminology can vary, depending on the sector – servicing, overhauling, reconditioning, refurbishing, but at the end of the day they all describe the same or very similar process that extends the useful life of a product, and from a remanufacturing perspective the resulting product has the same quality as an equivalent new product. The remanufacturing market is worth an estimated £1.1 billion in Scotland, employing over 19,000 people, with a predicted increase of a further £620 million by 2020. Any Scottish manufacturer could apply the CE principles to their business. 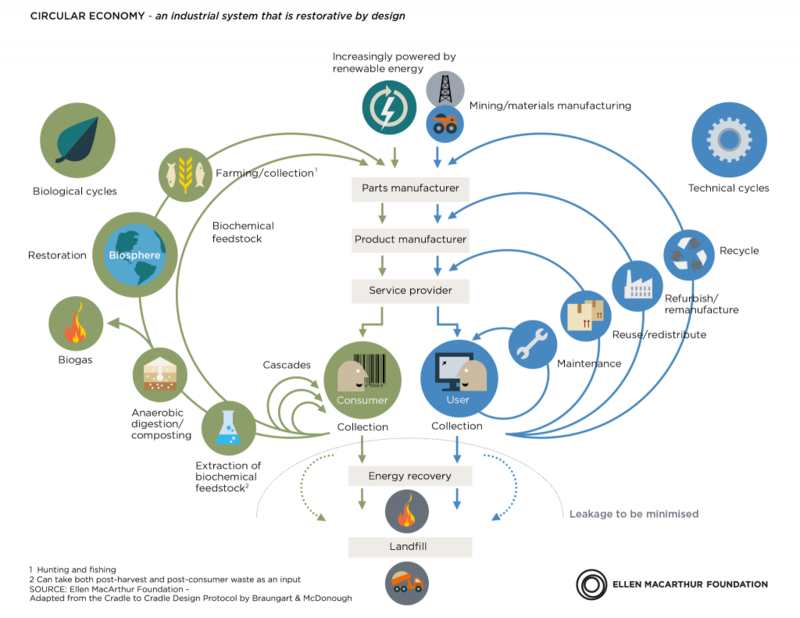 A Circular Economy is the future for Scotland’s manufacturing industry with social, economic and environmental benefits.